Characterized by its tight pore structure, Cordovan is a unique leather that demands different treatment than calfskin. 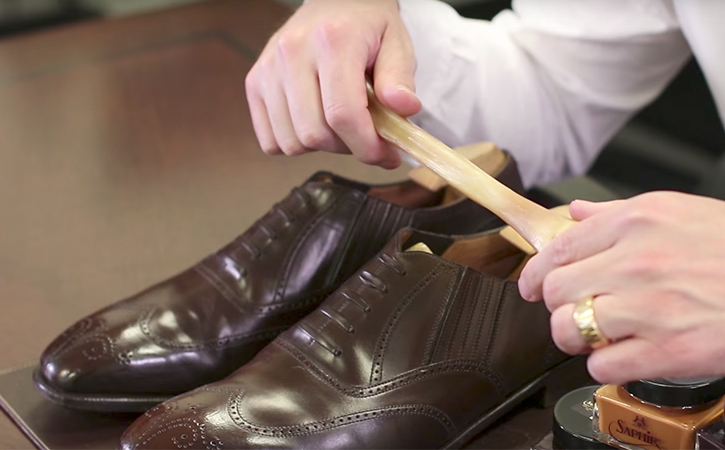 The AbbeyHorn Deer Polishing Bone is an essential tool to getting your Cordovan Dress Shoes looking as good as new. Now you use the deer bone to help compress and roll out those wrinkles and smooth that leather back to better condition. To use the deer polishing bone you simply take it into your hands and roll it through the creasing, applying moderate to firm pressure, to push those creases out. You'll see a white residue develop as you use the deer bone. 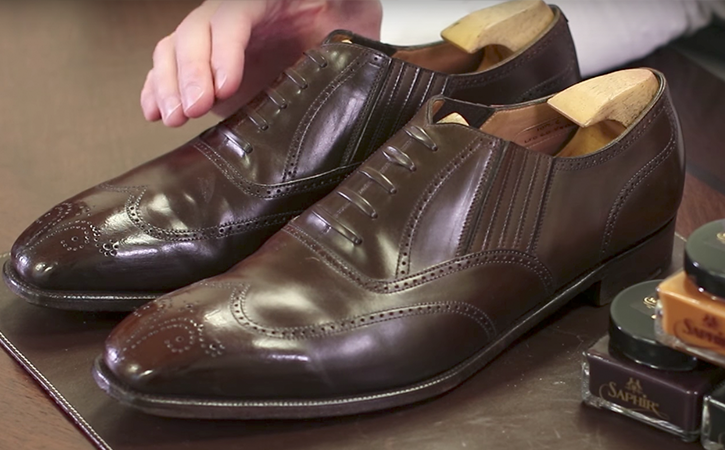 When you finish, simply buff it off with a horsehair brush and you'll see that you're able to completely reverse the creasing that you find in the vamp of your shoes.